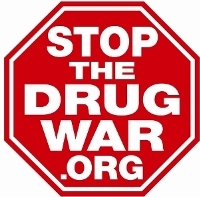 The Global Commission on Drug Policy calls for ending all penalties for drug use, and decriminalizing social dealing, drug couriering, and drug crop cultivation. State lawmakers in Arkansas and Montana are grappling with the results of popular votes allowing medical marijuana, and an Arizona dispensary operator eyes a 2018 initiative. A Pennsylvania DARE officer didn't heed his own lessons, a Florida cop fell for a money-laundering come-on, and more. As more states legalize marijuana, Colorado's governor warns of gray market dangers, Texas sees a slew of early decriminalization bills, the British Medical Journal calls the drug war a failure, and more. Last week's legalization victories are reverberating throughout New England, and the city of Oakland is moving toward a publicly-owned bank that could serve marijuana businesses. Nashville blows off state attorney general and will continue pot decriminalization, time to give your senators your two cents worth on the Sessions nomination, the Dutch ruling party belatedly comes around on coffee shop supply, and more.